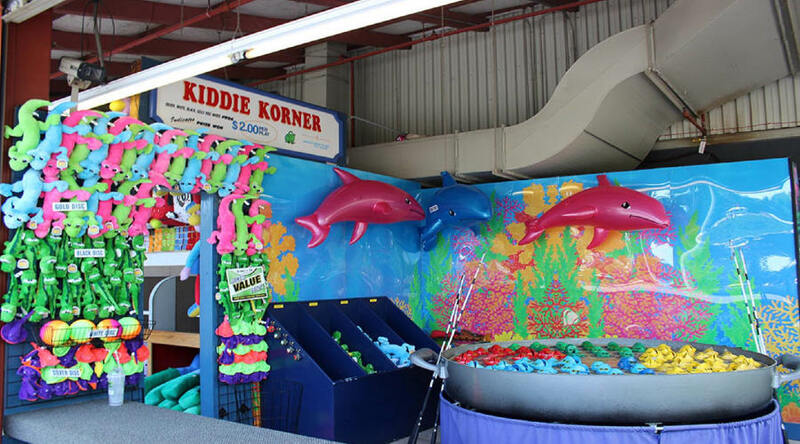 Located in the Kissing Tower Hill℠ area, Kiddie Korner is the perfect game for those little gamers! Grab your fishing pole and choose any frog from the table and see what color disc is inside the frog. The color disc determines the size of the prize! A winner every time!